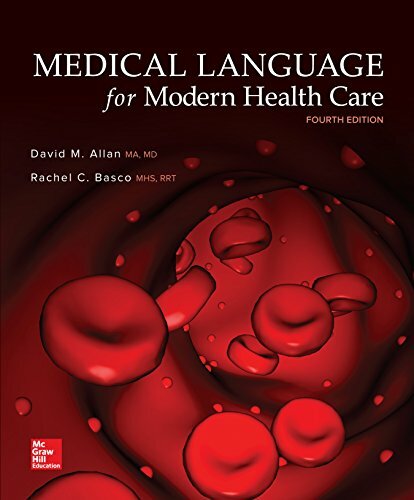 Medical Language for Modern Health Care, Fourth Edition, uses a Contextual Learning approach to introduce medical terminology within a healthcare environment. Chapters are broken into lessons that present and define terminology through the context of A & P, pathology, diagnostic and therapeutic procedures as well as pharmacology. The text is setup in a way that covers one topic at a time, offering contextual content, tables, and exercises all in one place. Word Analysis and Definition Tables provide a color-coded guide to word parts deconstruction, definitions and pronunciations. Chapters covering Geriatrics, Oncology, Radiology, and Pharmacology offer comprehensive topics coverage. With unfolding patient case studies and documentation, students are introduced to various roles in the healthcare environment, illustrating the real-life application of medical terminology.